"Absolute Best networking utilities package!" The best I've found, complete networking utilities package, scans open ports with description of functionality, discover network services and check them for vulnerabilities, looks for open shares, security flaws, scan for common Adware traces and then links you to the appropriate site for the fix! 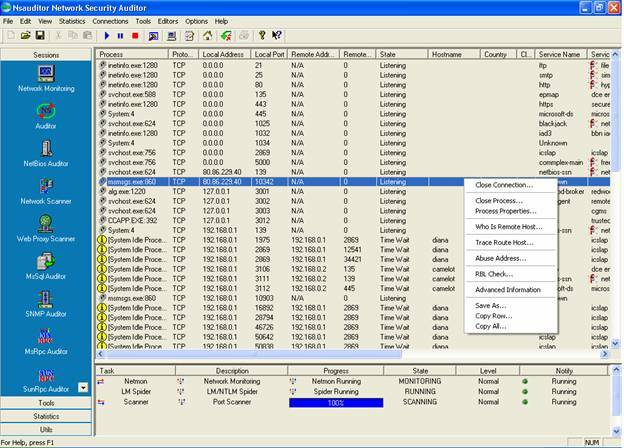 Allows to stop internet threats and block unwanted network connections. An absolute essential for ANY IT professional. "A Nice all in one Network Program!" I like your network auditing software, because it has a dozens of features in one program, and I don't need to install dozens of different programs and let them start when windows starts. 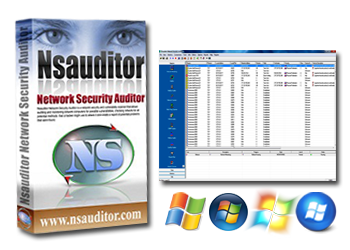 "I am impressed with Nsauditor capabilities..."
I'm very impressed with Nsauditor network audito, it is a great utility that should be considered part of any serious Network user. Not all programs are nice so having a program like this could come in handy.